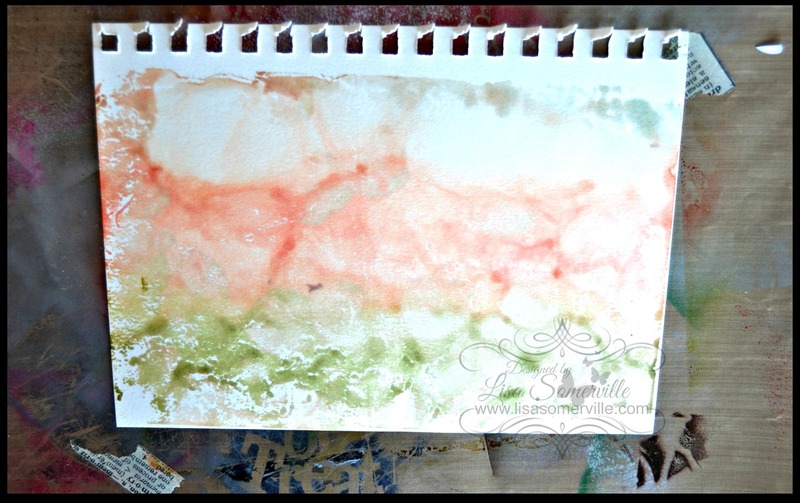 Spectrum Noir Watercolor Background using the eBrush! Lisa Somerville has done it again! 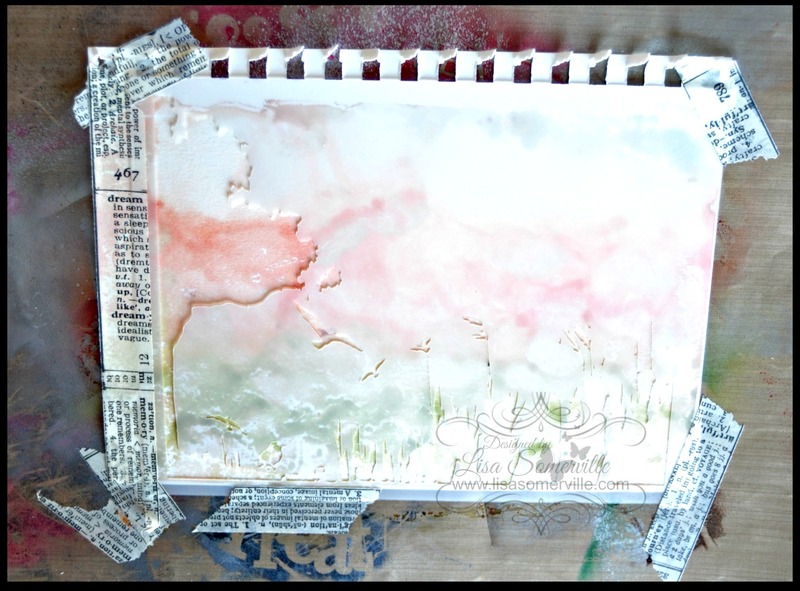 She is a wonderful designer and shows us how to create this beautiful card! Hi, and welcome to the Craftwell Blog, Lisa here today, sharing a card I created using the eBrush. This month we are sponsored by Crafter's Companion, they have provided the eBrush design team with Spectrum Noir Markers and Sheena Douglas Stencils to use on our projects this month. Be sure to cover your workstation, I'm working on a Non Stick Craft Mat. 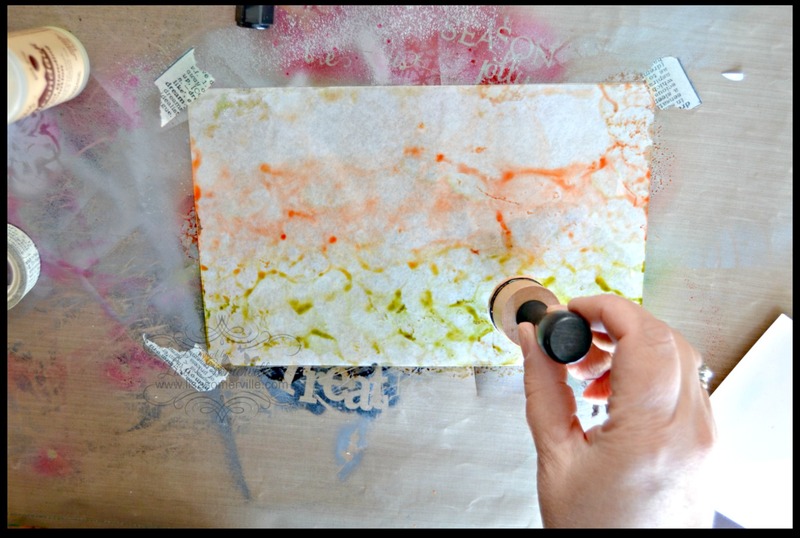 Adhere acetate to Non Stick Craft Mat using Tissue Tape. You'll notice that I have left the tissue sheet under my piece of Acetate, I have done this so that I can see the ink on the Acetate sheet. using the eBrush, apply color to the Acetate as shown. I used the following colors BT1, CR10, LY1 and DG2. This is what my Acetate sheet looked like after applying the Spectrum Noir markers using the eBrush. I wanted a watercolor look and feel to my background, to achieve this look, apply Blending Solution to the felt on an Ink Blending Tool and lightly pounce over the eBrushed Spectrum Noir Markers you applied to the Acetate sheet. 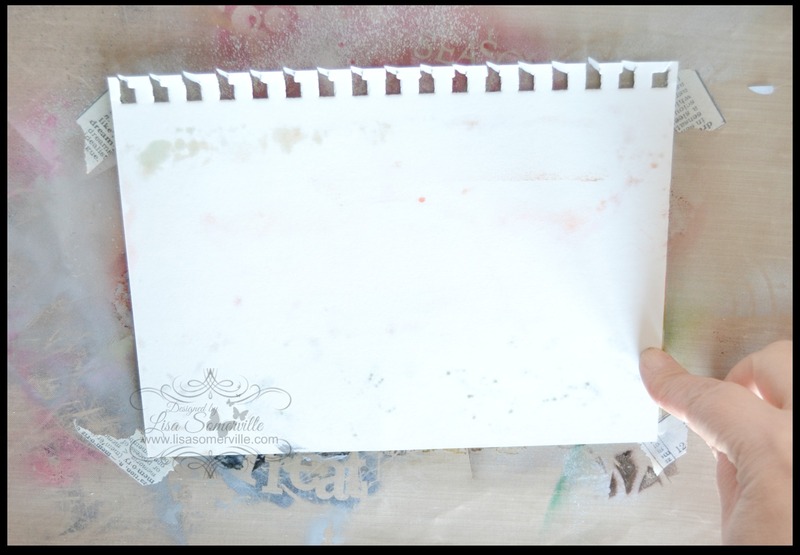 Quickly place your Mixed Media card stock directly onto the Acetate and press down to pick up the color. If you do not move quick enough the markers will dry. 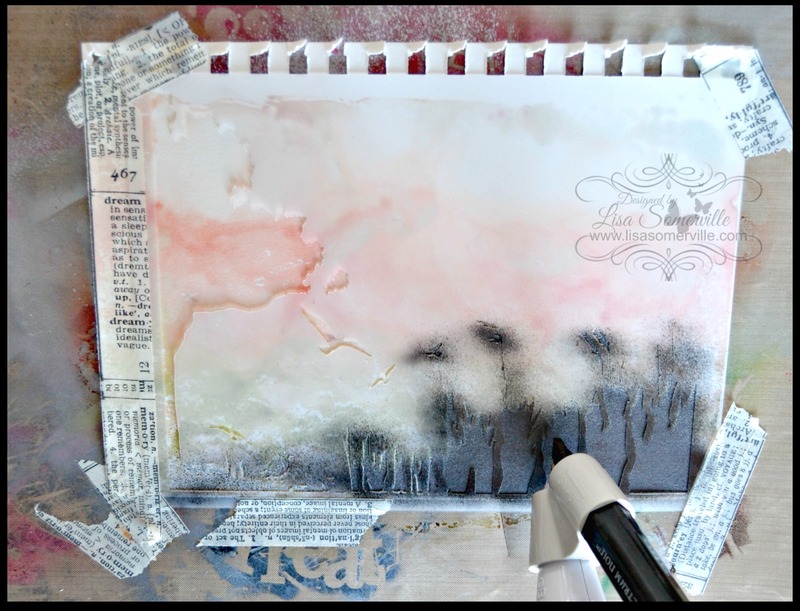 If this happens, simply apply additional Blending Solution to the felt and pounce back over the Acetate sheet and repeat to pull the colors. Finished piece to be used as desired. 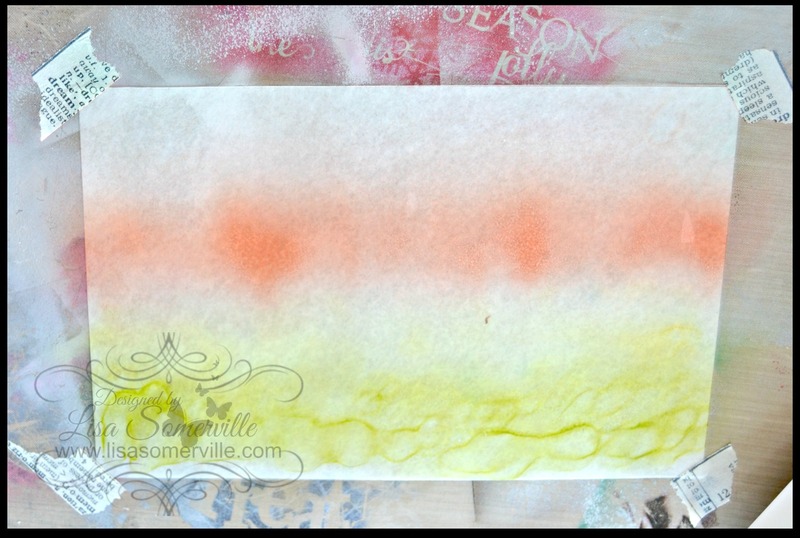 I'm going to stencil over my eBrushed watercolor background using the Summer Meadow Stencil. 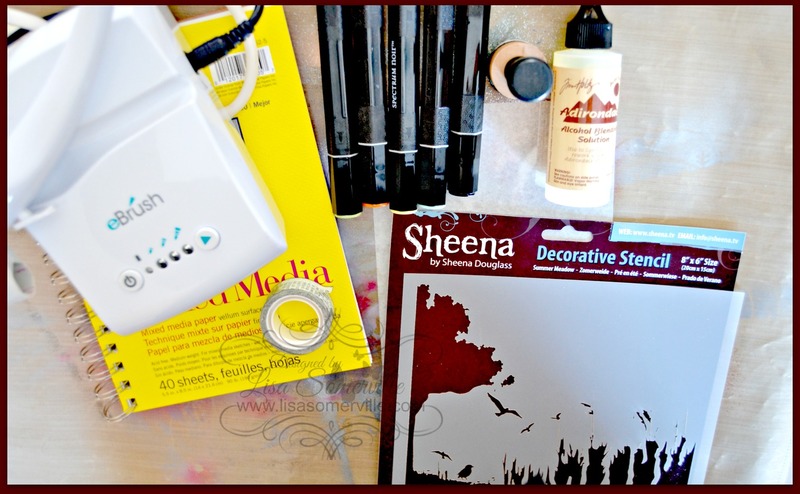 Decide where you want your stencil, and adhere in place using Tissue Tape. Using the eBrush and Black Spectrum Noir Marker, add color to the stenciled area. 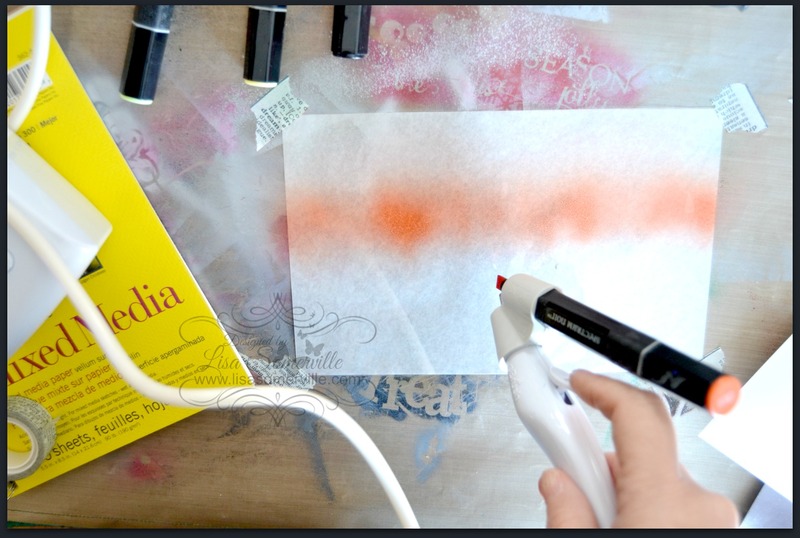 Remove stencil, clean marker from stencil using a cloth and Blending Solution. Use panel as desired. 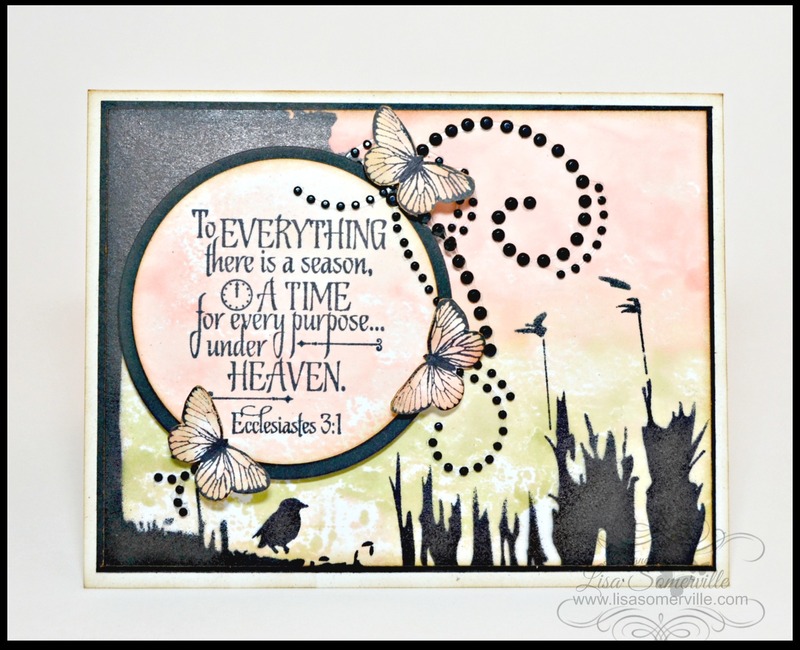 To finish my card, I stamped both the Verse and Butterflies from Our Daily Bread Designs onto scraps of the eBrushed background. I die cut the verse panel using the ODBD Circle Ornaments Die, mounting the circle onto a Black panel that was die cut using the Matting Circles Dies. Adhere the stamped die cut panel to the base card as shown using dimensionals. Using scissors, cut the stamped butterflies, sponge the edges with an Ink Blending Tool and Gathered Twigs Distress Ink, adhere to card using Glue Dots. Add Zva Creative Black Crystal Gems as shown. Sponge edges of panel with Gathered Twigs Distress Ink and Ink Blending Tool, adhere to Black panel, then to Confetti base card. 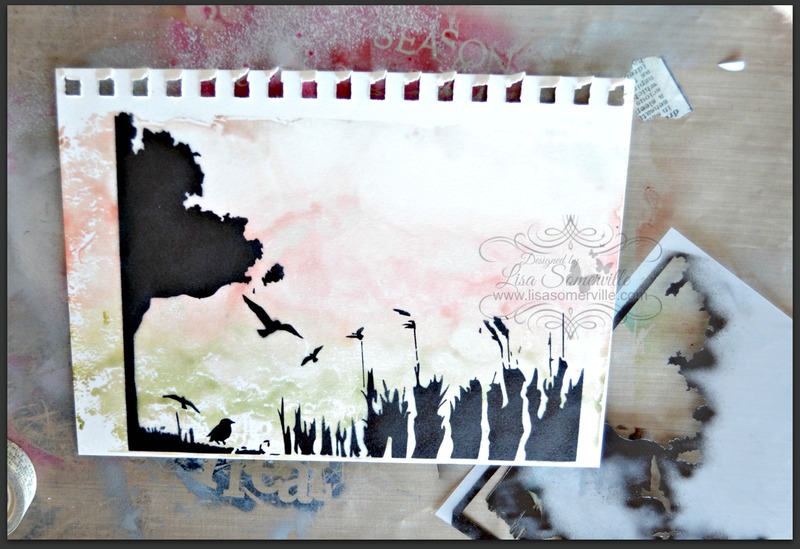 Sponge base card using Ink Blending Tool and Gathered Twigs Distress Ink.